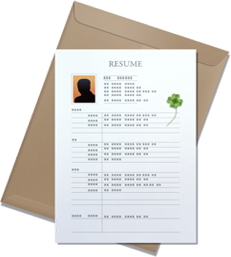 Creating a profile is the first step to getting hired on WorknHire. Convert your best work into your online sales agent, show them what you’ve done for others and you’ll be well on your way to building a great list of clients. Your online portfolio is proof that you’re the real deal. If you have a website, we encourage you to share the link on your profile. Your website provides further credence of your authenticity in your field and gives prospective Employers a deeper insight into who you are and what you can do for them. Send your best proposals to clients and communicate why you are the right candidate. Your proposals will be reviewed by the prospective client. If the client selects your proposal, you will be interviewed, and if hired, will often start working immediately. After a Client selects your proposal, you have the option of accepting or rejecting the awarded project. Once accepted you can define terms for the project which will have to be approved by the Client. Once you’ve landed a project, we help you work efficiently and effectively, using your uncluttered virtual desktop. Define the scope of your project, delivery dates and payment method. That way everyone knows up front what, when and where. You’re in charge of how to keep a record of your communications with your Client using the Workroom. Here you can quickly open communication with Employers about projects, attach files and have them automatically stored in your Files tab within your Workroom. Talk about convenient! It’s the easiest way yet to move your project from Start to Paid. 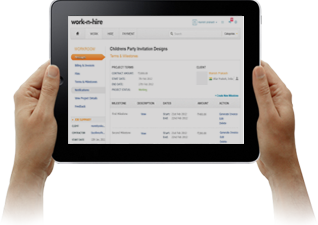 Managing Payments on WorknHire is simple. When the project is awarded, you should ask the client to deposit funds into the escrow, which will make sure that your money is safe with us till the time you have completed the work. As soon as work is completed, you can request the client to release the fund, and then after approval the funds are released into your account. 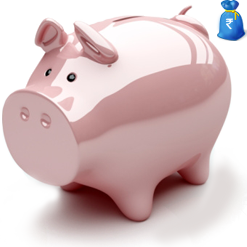 Using escrow makes sure that you don’t have problems with payments with Client.